On August 25, three Leading Program students participated in a career path internship matching event. 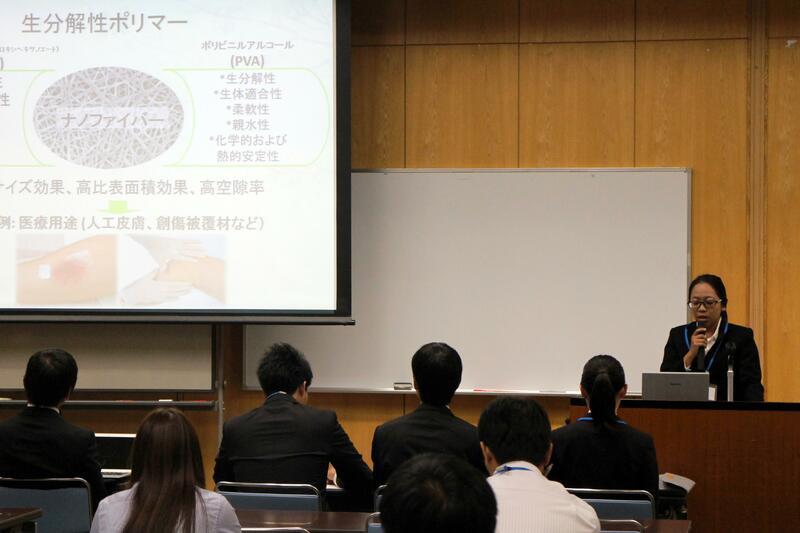 The event consisted of short presentations by 23 participating students and 16 participating companies, followed by informal discussions between the students and companies. The students looked nervous leading up to their presentations but did their best to make full use of their allotted 2 minutes and 30 seconds to promote themselves to their audience. 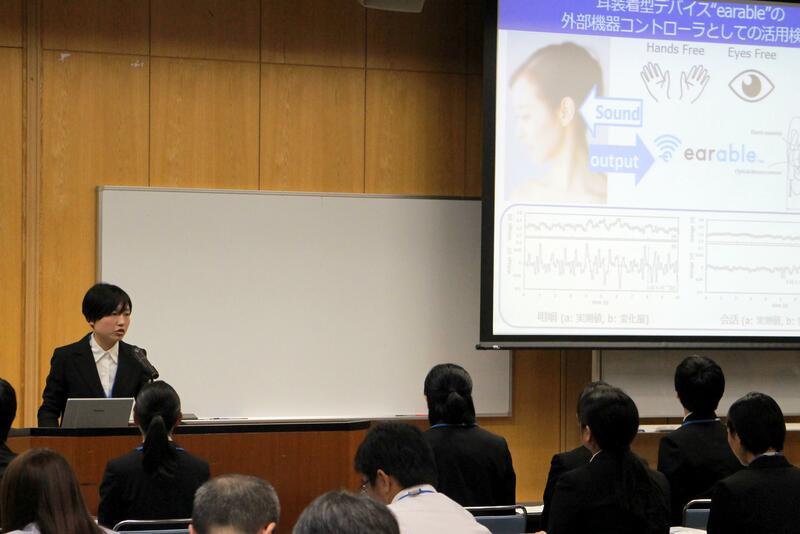 Although the two international students from the Leading Program who participated struggled a bit during what was their first time to give a presentation in Japanese, they nonetheless succeeded in promoting themselves no less effectively than their Japanese counterparts. 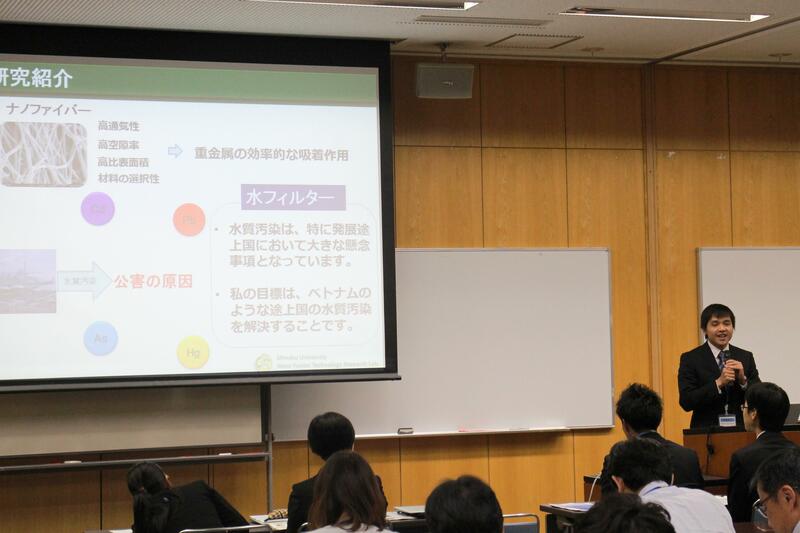 During their presentations, the companies explained their characteristics and described the type of employees they look for. While the companies come from different industries and have different products, it was impressive to see all of their representatives speak with pride about their employers. During the discussions that followed the presentations, both the students and companies approached each other in a spirit of seriousness, the former eager to secure future opportunities and the latter to find talented employees. The enthusiasm of both groups was evident, for example in the way they sometimes went over the initially allotted time. Not all participating students will find an internship with the participating companies, but the event provided an excellent opportunity for Leading Program students to think about their future employers by allowing them to listen to information from various companies and giving them the experience of promoting themselves to companies.